Note: "River" category includes canals and backwaters (they share similar qualities). However, I did not include the Panama Canal on this list because it's mostly a sea cruise. my tips on a river cruise. Luxor and Aswan in Egypt. 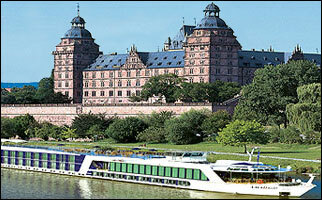 Nile River cruises showcase pharaonic temples and tombs. Chonqing and Yichiang in China. Yangtze River cruises feature stunning landscapes and fascinating shore excursions. Kottayam and Alleypey in southern India. Kerala backwater cruises boast tropical palm-fringed waterscapes. Koblenz and Rudesheim/Bingen in Germany. Picturesque medieval castles and villages are the stars. Saigon and Angkor Wat and between Luang Prabang and the Golden Triangle. Mekong River cruises are adventures.